Dayton International Airport is undergoing a 20-year, complex upgrade. Dayton Airport will improve passenger transfer facilities in view of the projected significant increase in the number of people using the airport in the future. Map of Dayton International Airport and the surrounding area. The phase III proposals include the construction of a third parallel runway 6-24 at a length of 11,000ft, with 6,000ft lateral separation from runway 6L-24R. Dayton International Airport is located in the US state of Ohio in Miami Valley. It is undergoing a 20-year complex upgrade that will expand several of its runways, the construction of a new TRACON facility, a cargo hub expansion, the construction of an air cargo access road, the rerouting of a highway, and the acquisition of land around the airport. The airport is spread over 4,200 acres. In 2010, it handled 12,64,650 passengers, 59,573 aircraft movements and 8,092t of cargo. 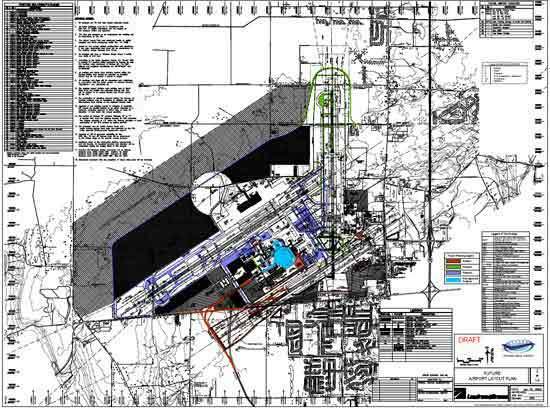 The airport’s expansion is under an FAA airspace review of the 2005 Revised Future Airport Layout Plan. Dayton airport has proposed a $1.2bn expansion that calls for the purchase of 1,100 acres of nearby rural land, an extensive system of new roads around the airport and the lengthening of its runways. The project has been split into three separate phases to run consecutively during the project’s 20-year timescale. These will enhance and extend the runway facilities to provide a more efficient facility. 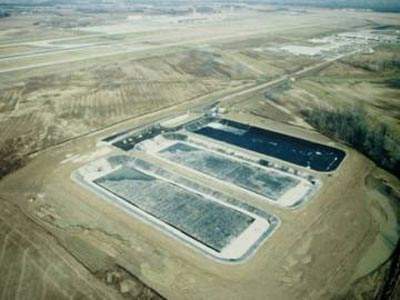 The Dayton International Airport Master Plan was first put forward in May 1998. Since then, there have been many submissions to the FAA and extensive revisions to the plan. The proposals for phase I include the extension of runway 6R south by 4,400ft and the shortening of runway 24L by 400ft to provide a total length of 11,000ft. 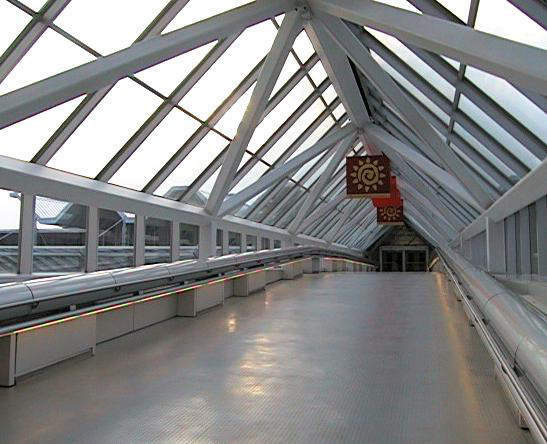 "The Dayton International Airport Master Plan was first put forward in May 1998." As part of phase I, in 2007, Danis Building Construction Co was awarded the contract to build an air traffic control tower. Construction was completed in 2010 and the tower began operations in mid-2011. The total cost of the project was $30.6m. The new control tower is 254ft in height and has a 12,000ft2 base building to house administrative and operation areas. Phase I proposals also encompass the re-routing of US 40 (National Road) around the runway 6R extension, and the relocation and realignment of the Old Springfield Road parallel to runway 6L. The runway 6R extension project is the most vital part of the plan, providing short-term airport capacity improvements. Funding of $10m was granted by the Department of Homeland Security for the installation of upgraded baggage systems. A new automated inline baggage screening system was installed by the Transportation Security Administration in May 2011 to reduce manual baggage handling. Approximately $8.5m was spent on the terminal expansion to create additional space for the new system. Officials for the City of Vandalia, one of the communities affected by this phase of the expansion, say that the airport’s expansion is not necessary until 2015. Since the expansion as it stands will require the rerouting of a major road (US Route 40) to make way for a runway extension and will need to acquire land from some residents, there is expected to be significant opposition throughout the project. "The City of Vandalia say that the airport’s expansion is not necessary until 2015 ." The Vandalia residents want the expansion to be environmentally responsible and sensitive to its neighbours. They say that Dayton has so far only looked at the expansion in terms of economic development. An early study on the expansion conducted by Geospec, an engineering and environmental geophysics firm in Baton Rouge, Louisiana, called the expansion plans overly ambitious and disruptive. The study shows that extensions into US 40 are unnecessary because installing runways parallel to existing ones would reduce noise and be less disruptive than the current Dayton plan. The proposals for phase II include the extension of runway-36 by 4,300ft and the shortening of runway 36 by 3,300ft, providing a total runway length of 9,500ft. There will also be a re-routing of the Ginghamsburg-Frederick Road around the runway 18 extension. Runway 18-36 was resurfaced in 2011. The plans also include a cargo hub expansion, the construction of an air cargo access road west of runway 6L-24R, and the acquisition of land to the north of the airport. The phase III proposals include the construction of a third parallel runway 6-24 at a length of 11,000ft, with 6,000ft lateral separation from runway 6L-24R. 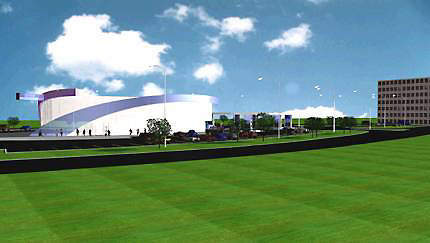 There are also plans for the acquisition of land to the west of the airport. "The proposed expansion of the Dayton Airport is in response to the strong economic growth in the Miami Valley area." The proposed expansion of Dayton airport is in response to the strong economic growth in the Miami Valley economy and the growth of the air carrier and cargo markets. The expansion will enhance the airfield and ground transportation capacity, and meet the forecast projection for passenger and cargo operations. Emery Worldwide, one of the airport’s biggest cargo companies, wants to expand its air-cargo operations over the next 20 years to more than double the size of its local 4,200 workforce, and to double the number of daily flights to 200. There is some local opposition from residents regarding noise. Emery Worldwide appears sympathetic and hopes to reduce the impact of noise on neighbouring residents with its next generation of cargo planes, which will have quieter engines. The EIS was prepared to conform with the National Environmental Policy Act, and FAA and FHWA regulations. Passengers at Dayton International Airport is expected to increase to 1.5 million in 2018. The number of aircraft operations, including passengers and cargo, will grow over the 20-year forecast period. Air carrier and commuter operations are anticipated to increase at an average annual rate of 0.6%. The FAA has ratified and accepted these long-term forecasts. A 660,000ft2 parking garage opened on 29 July 2010. The three-level facility offers 1,400 spaces on the second and third levels. The range of parking provided includes short term, long term, economy parking and parking for disabled. During peak travel time, overflow parking can be used, where extra spaces will be allotted to the passengers. The airport also opened a new mobile phone lot in October 2011.